An injunction is ordinarily and properly elicited from other proceedings. For example, landlord might bring an action against a tenant for waste, in which the right to protect the landlord’s interest in the ownership of the premises is at issue. The landlord might apply to the court for an injunction against the tenant’s continuing harmful use of the property. The injunction is an ancillary remedy in the action against the tenant. Injunctive relief is not a matter of right, but its denial is within the discretion of the court Whether or not an injunction will be granted varies with the facts of each case. 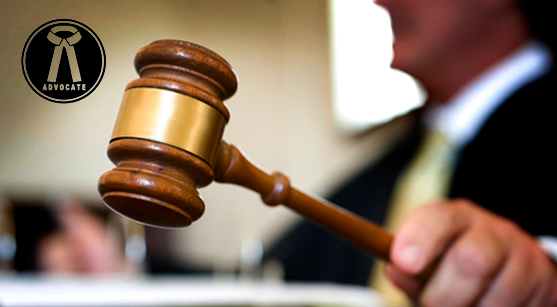 Types of injunction – injunction has two types 1. Permanent injunction 2. Temporary injunction. A permanent injunction is a type of order issued by a court after a full trial on the merits of a case has been conducted. A tentatively, a permanent injunction may be handed down if a default judgment is entered in a case or if the opposing party agrees to the injunction. A permanent injunction order is typically issued for the purpose of requiring a person or entity to permanently stop acting in a certain manner. A court can also hand down a permanent injunction for the purpose of compelling a party to perform in a certain way. Permanent injunction usually occurs in civil cases. They are considered a type of equitable remedy, and they provide relief in circumstances where money damages or any other personal damages are involved. For example, if A and B sign an agreement to sell to regarding the property no. 8 of a particular place. In this agreement A is seller and B is purchaser. After that B also made a agreement to sell with C for same property. But meanwhile A sale the same property to the D. Now here is B is aggrieved person and he has to file criminal as well as civil case also. In civil case B make the prayer to the court that he is ready to purchase the property but A sell the property to another person D. kindly direct the court to A perform his agreement and direct the D to stop further sell of the property. Here court must pass the temporary injunction in the favor of the B. Permanent injunctions are different from temporary restraining orders and preliminary injunctions. Like a permanent injunction, a temporary restraining order compels a party to act in a certain manner or to refrain from acting in a certain manner. A temporary restraining order, however, can be issued without giving the other side an opportunity to be heard in a case. Courts typically issue temporary restraining orders when imminent action is required in order to prevent a party from experiencing immediate harm. A preliminary or interlocutory injunction also requires a person or entity to perform – or stop performing – in a certain way. Essentially, a preliminary injunction serves as a stop gap, and it is typically valid only until a court issues a final opinion in a case. Unlike a temporary restraining order, the party against whom the order is being sought usually has an opportunity to be heard before a preliminary injunction is issued. In a simple language, a person live with his family member with peacefully in his house and someone disturbed them continuously without any reason and without giving any physical harm and only breach the peace of family atmosphere. For example a close friend, any relative and after the request of many times he didn’t understand. It is completely a civil dispute .In that case a person has only one remedy is file the suit of permanent injunction to stop him as a legal way before the court where he resides because police can’t interfere in this situation due to the civil matter.